Nazareth College student Alison Risewick recently visited us at Refugees Helping Refugees and was able to meet many of our students and staff. We pride ourselves on the individualized attention we give to our clients at Refugees Helping Refugees. Our class sizes are small, our case managers hold office hours for walk-in appointments, and our clients can feel comfortable asking any member of the staff for help. 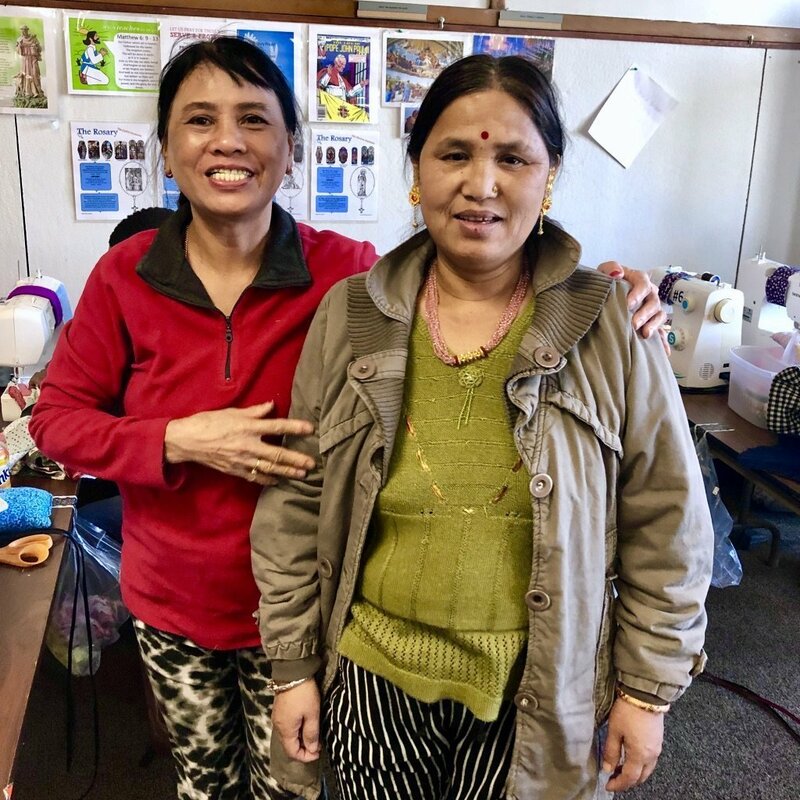 We have recently taken this individualized approach one step further––pairing our clients with a local friend in a mission to bridge the gap between refugees and members of the Rochester community. If you live in Rochester and are interested in working to help us bridge this gap, consider joining our Caring Circle program. The Caring Circle matches Rochester residents with refugees in a partnership of cultural exchange and support. Refugees practice their English and gain a friend in the community. The community members, in turn, learn about their partner’s culture and language, share their favorite parts of Rochester, and help contribute to the integration of a refugee. The Caring Circle requires a commitment of at least 10 hours a month for a minimum of 3 months. The exact time and commitment should be decided at the beginning of the partnership and can be re-evaluated over time. Volunteer times for this commitment are flexible and include evenings and weekends. What are you waiting for? Sign up today for the Caring Circle with our Volunteer Application and make a new friend!